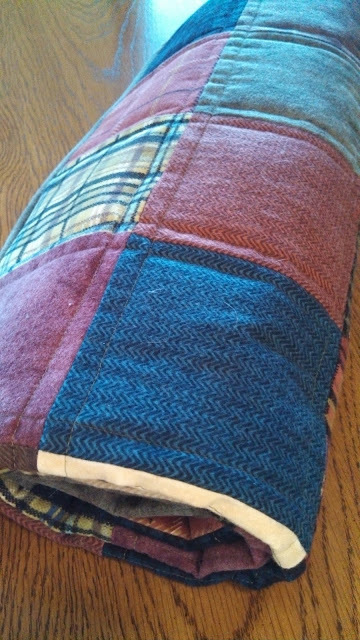 I was able to use a flannel layer cake I had bought from Connecting Threads. 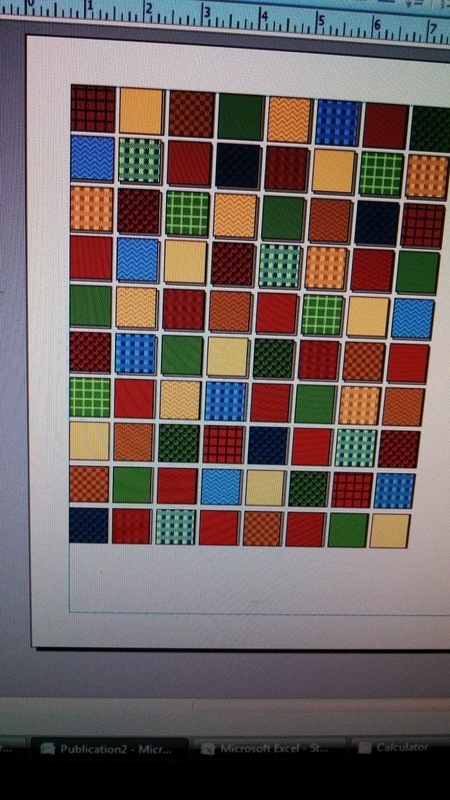 I used the computer to make a mock-up of the quilt in order to decide where to place each fabric square. 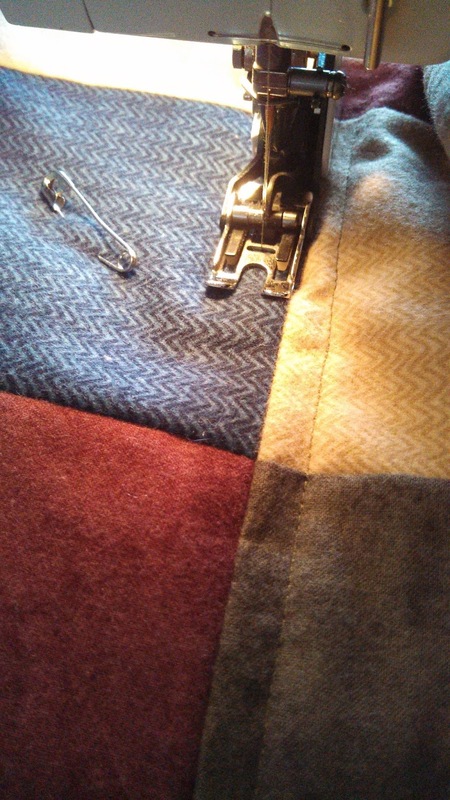 I cut the squares into 5” charms and sewed them together in a simple patchwork layout. 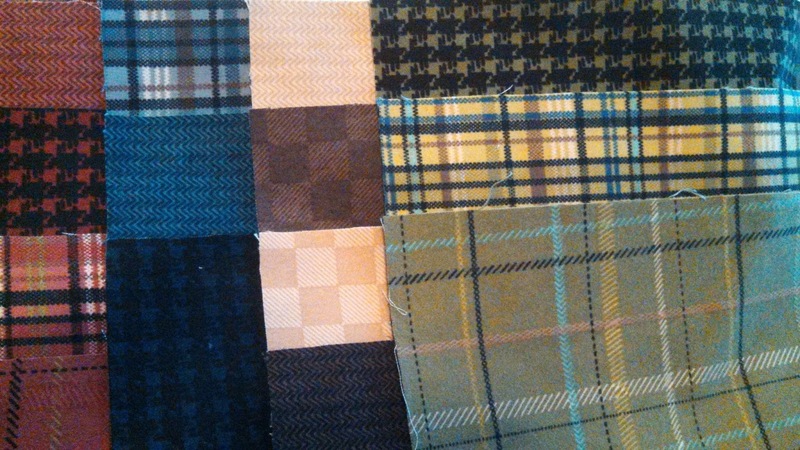 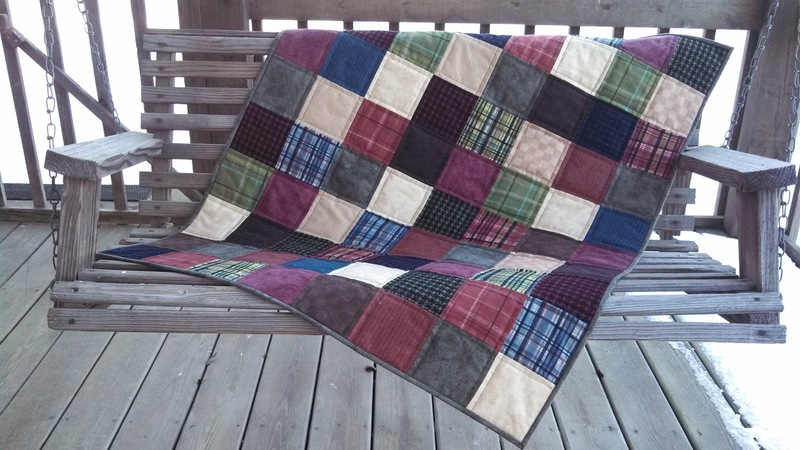 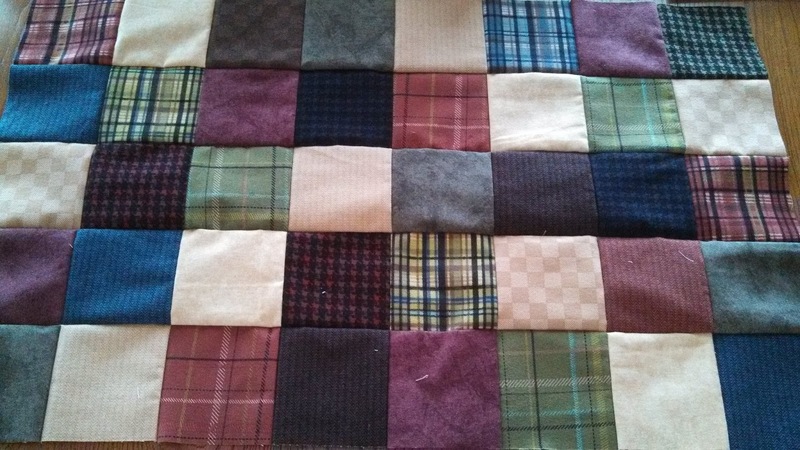 I used flannel fabric for the back that I had bought at a garage sale in our town from a woman who was moving – her fabric stash was an entire parking lot! 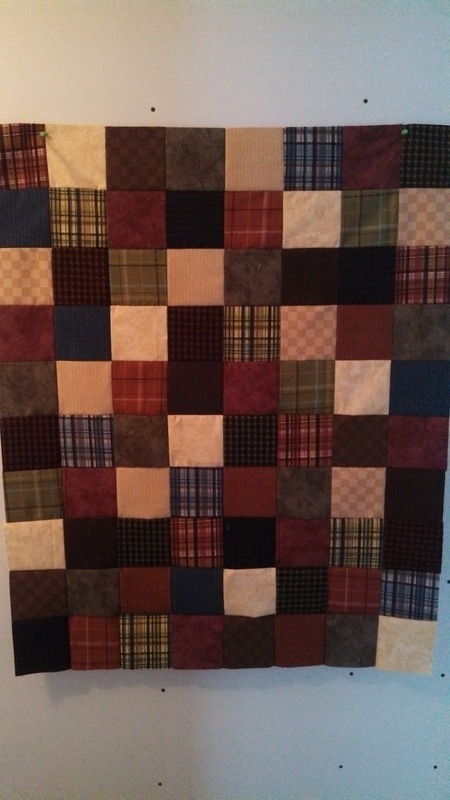 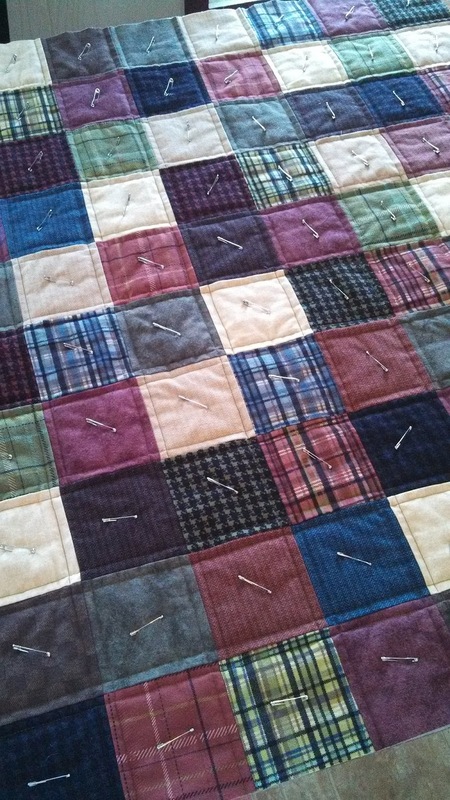 I quilted it with straight lines ¼” on either side of the ditches using a walking foot on my Bernina 930 Record. 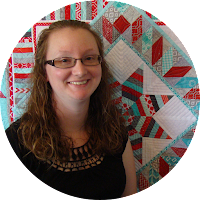 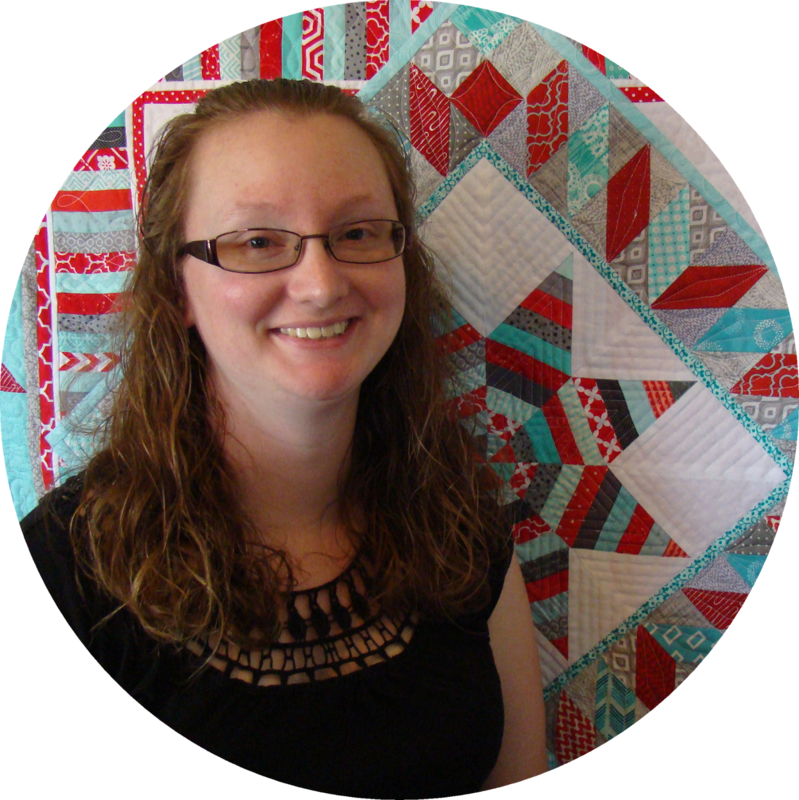 I delivered the quilt to the woman in the parking lot of the local Country Mart. 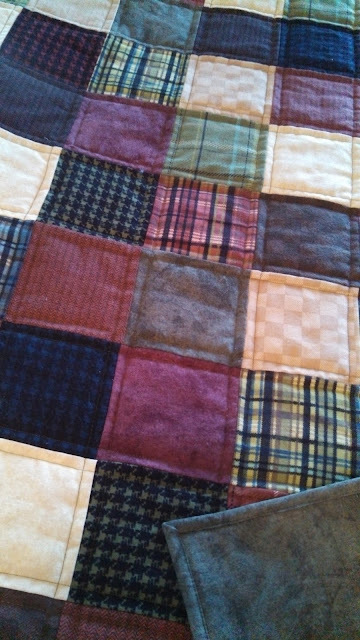 When showing her, she said, “Wow, you do really good work!” It was the first quilt I sold!